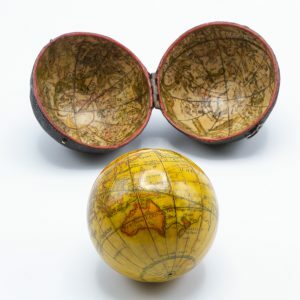 Australasia : books, maps, original water colour drawings, oil paintings and coloured plates relating to Australia, Tasmania, New Zealand and the islands of the Pacific Ocean including a fine series of original water colour drawings of Sydney and its harbour by Conrad Martens. 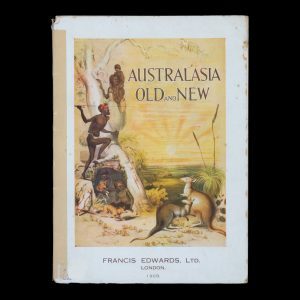 Cover title : Australasia old and new. London : Francis Edwards, 1928. 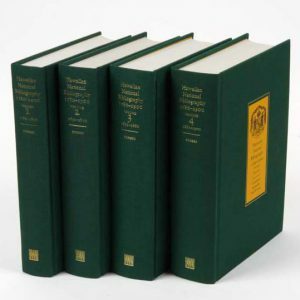 Catalogue 505. 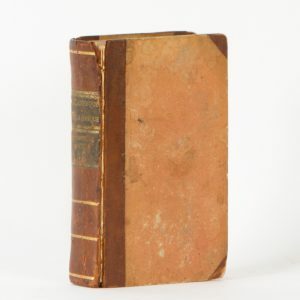 Octavo, pictorial wrappers, tape repair to spine, fore edge foxed, catalogue of 1537 works, with prices. 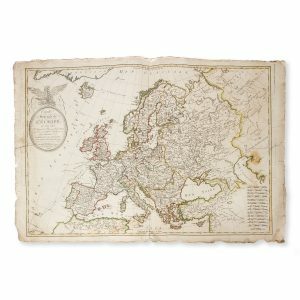 London: Hakluyt Society 1973. Octavo, pp. 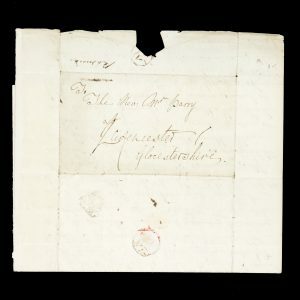 9, a fine copy. 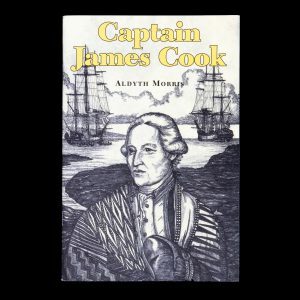 Biographical conversations on the most eminent voyagers of different nations; from Columbus to Cook. Nu.tka. 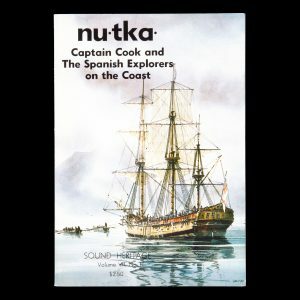 Captain Cook and the Spanish Explorers on the coast. Sound Heritage. 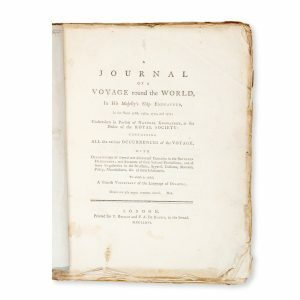 Volume VII, Number 1. Victoria, B. C. : Aural History, Provincial Archives of British Columbia, 1978. Quarto, illustrated wrappers, pp. 102, illustrated. 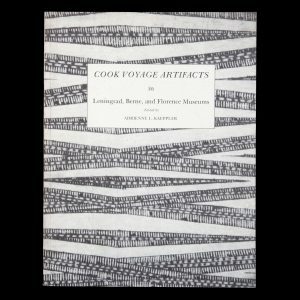 Cook voyage artifacts in Leningrad, Berne, and Florence Museums. Honolulu, HI : Bishop Museum Press, 1978. First edition. Series: Bernice P. Bishop Museum Special Publication 66. 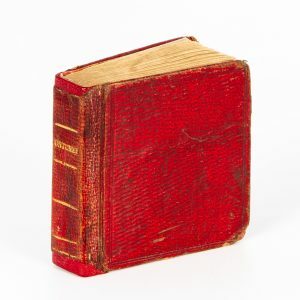 Quarto, pictorial wrappers, colour frontispiece plate, pp x, 186, photographic illustrations (some colour), a fine copy. Honolulu : University of Hawai’i Press, 1985. Octavo, illustrated wrappers, pp. [viii]; 58. Script for a play first performed in 1978. Portland : Oregon Historical Society, 1974. 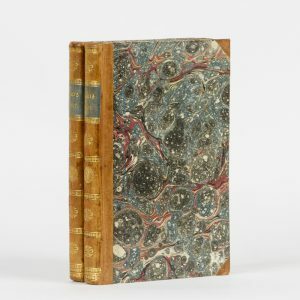 Quarto, illustrated wrappers, pp. xiv; 97, extensively illustrated with photographs of artefacts etc. 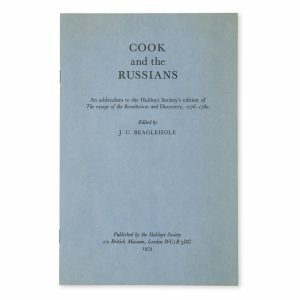 [COOK]. Costumes of different nations, in miniature, from drawings by Alfred Mills. 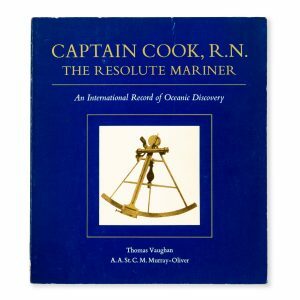 Melbourne : Melbourne University Press, 1992. 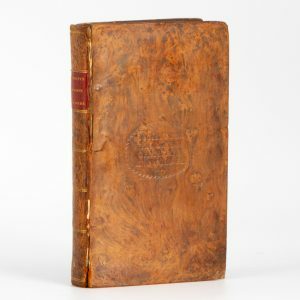 Quarto, boards in illustrated dustjacket, pp.xiv; 262, illustrated. 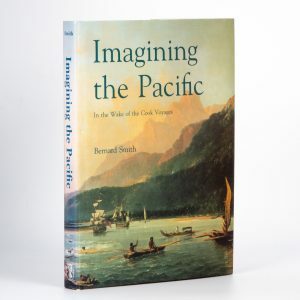 The impact of European travel in the Pacific on representations of indigenous people and their environment in Western art. From the library of art historian Leigh Astbury, signed by him on the front free endpaper.